Centurion is one of the fastest growing garden companies in the U.S. today with broad distribution in all traditional and non-traditional channels. Using only the highest quality materials and the latest ergonomic research, Centurion product engineers design tools for efficiency, reliability, and ease of use that stand the test of time. Perfect for any home-owner or landscaper to effortlessly keep your lawns and gardens trimmed and beautiful. Stacey is our most seasoned Account Supervisor with more than 15 years of experience in the lawn & garden industry. Building and maintaining strong relationships with the media and her clients is where she shines. 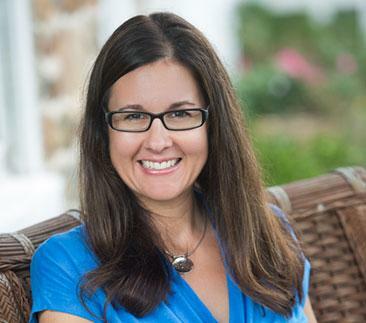 As our green industry trade and product placement specialist, she works hard to grow brand awareness by increasing media exposure, launching new products, and making connections with key influencers in the garden, home, lifestyle and food industries. Garnering top-notch results for her clients is her passion. She has secured national placements in Real Simple, Martha Stewart Living, Better Homes & Gardens, Cooking Light, Southern Living and Do It Yourself to name a few. Stacey spends her spare time volunteering with the Penn State Alumni Association, The Grand Opera House of Wilmington and the American Cancer Society. Centurion Brands, a global leader in the manufacturing of garden and outdoor living products, has once again joined Garden Media Group’s client roster. Centurion previously worked with Garden Media, the premier public relations agency for gardening and green living brands. This year, the company is excited to make a splash with its new product introductions and drive national attention to its collection of garden and outdoor living products. Centurion manufactures a full range of products for professional and home gardeners that are innovatively designed with strength and comfort in mind. From pruners and loppers to sprayers and garden accessories, their products are engineered for superior strength and long term durability. The ergonomic design allows gardeners to dig and cultivate with less effort. According to Bill Freimuth, president of Centurion Brands, Garden Media was selected because of the firm’s history in branding and gaining media attention with industry influencers. From new tools for hydroponic gardening to padded handles, Centurion’s new products are those gardeners can really get excited about. Centurion will announce its new products for 2019 at the 2018 National Hardware show May 8-10 in Las Vegas. Centurion’s catalog of products can be viewed online. 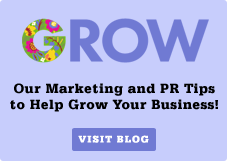 Garden Media Group specializes in the home, garden, horticulture, outdoor-living, lawn and landscape industries, and offers innovative PR campaigns designed to secure top media placements and partnerships with both traditional and social media. For gardening tips, new product announcements, and PR and marketing tips, visit www.gardenmediagroup.com .